On this very special day, Earth Day, I'm so excited to finally publish this pattern, Bee Kind. I wrote this pattern 2 years ago while spending 2 weeks in solitude on Martha's Vineyard. At that time, I was a recipient of a grant at a writer's/artist's residency program from the Turkey Land Cove Foundation. My goal was to work on a book about walking and knitting and while that's still a goal, other topics such as knitting and peace took center-stage during the 2 weeks alone. While tucked away in the woods, I designed this pattern, Bee Kind to honor the work that bees do to keep our planet functioning. I've been trying to find the perfect time to release this pattern and today seemed just the occasion. I choose the quote above to remind us that we are one thread... a thread that can be knit together to keep us all connected. Through knitting and the work of the bees we are all bound together. And because I love what this day stands for, I have an extra special treat for you. TODAY (through 4/22, 11:59 central time) only, you can use the coupon code "BEEKIND" for 50% off this pattern. Beginning, 4/23, apply the coupon code for 20% through 4/27. 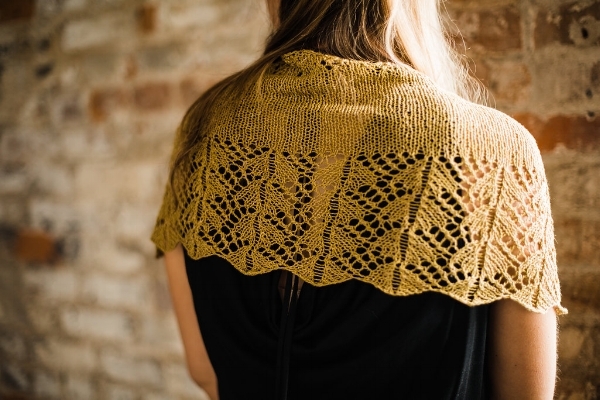 For those of you knitting Brudarach, Bee Kind is actually a companion piece. I never intended for this to happen but last week, I realized, "hey, they match." So now, I need to make another brudarach using Shibui's birch in the color pollen. And more good news... there will be several give-aways coming up this week. Some very special yarn, project bags and seeds. More details are forthcoming but for now... leave a comment on the blog to enter. Comment on what Earth Day and knitting mean to you. Receive an extra entry if you purchase the pattern. I'll close the commenting period on Friday 4/27. But what you're winning, you will love and I'll share more later. I'm hoping that you'll be able to take time today to honor our plant, get out in nature, smell the air, notice the colors of shifting seasons, and be thankful for all that we have. Be kind to yourself, to those around you and to make healthy choices... not just for you but also for the planet, our home.